Leave us your contact information and we will reach out to you as soon as we can. Get a rate that suits your business without any penalties or hidden fees. Better yet, there’s no cost to apply. You can apply for a loan completely online. The process is easy and it typically takes less than 30 minutes. Our term loans are flexible, giving your business the ability to repay early without penalties or fees. We’re focused on small business so you can get a tailored experience to help you reach your goals. *The loan calculator is using a base interest rate of 7.8% to calculate the monthly payment. Interest rates on the Lending Loop marketplace vary between 6% to 26.5%. Click to view our rates and fees. Lending Loop gives businesses the ability to access financing from lenders across Canada. Businesses can receive a term loan at a fair rate that works for businesses and lenders. You don’t have to worry about whether you fit into one of the boxes at the bank, we understand that not everything is black and white and we make decisions with that in mind. Modern technology has allowed us to recreate the lending model, making every step of the process more efficient. With ultimate flexibility and options for almost any type of loan, we have you covered. Better yet, everything is automated and handled online, so you can spend more time focusing on your business and less time worried about financing. Apply on your own schedule. You will receive a decision within 2 business days. If your application is approved, you will be asked to accept the proposed terms for your loan. Your listing will be active on the marketplace for up to 30 days. Once it is funded you will be asked to accept your funds. We will automatically withdraw your monthly loan payments from your bank account. Complete a free, no obligation application today. Whatever you need a loan for, the Lending Loop Marketplace is here to help you out. We’re 100% focused on small business - our goal is to provide financing that works for you. With countless business opportunities, we understand that flexibility is key to making sure you get something that suits your needs. 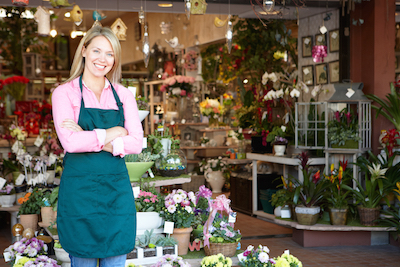 We provide term loans to help your small business grow.